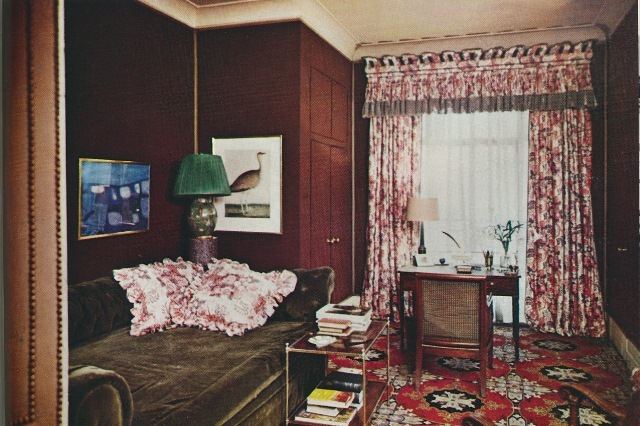 You might recall the blog post that I wrote last fall about the career of the late, great decorator Tom Parr. 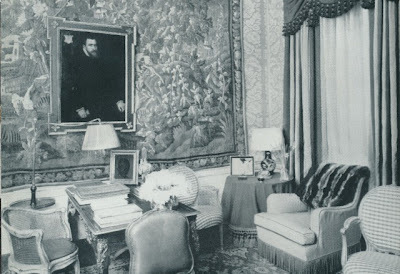 Parr, who served for decades as the Chairman of Colefax and Fowler and was responsible for much of the firm's success, was one of the last of the gentleman decorators. His work possessed an English sensibility, appearing refined, elegant, and yet comfortable too. 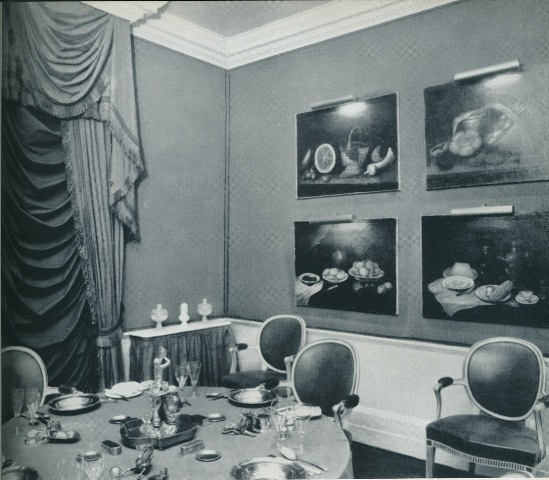 Because so many of you are Tom Parr fans (and I include myself in this category,) I thought you might be interested in these c. 1967 photos of Parr's Eaton Square, Belgravia flat. (The flat, by the way, appears to be the same as that featured in a 2009 blog post of mine. Click here to compare the two versions.) 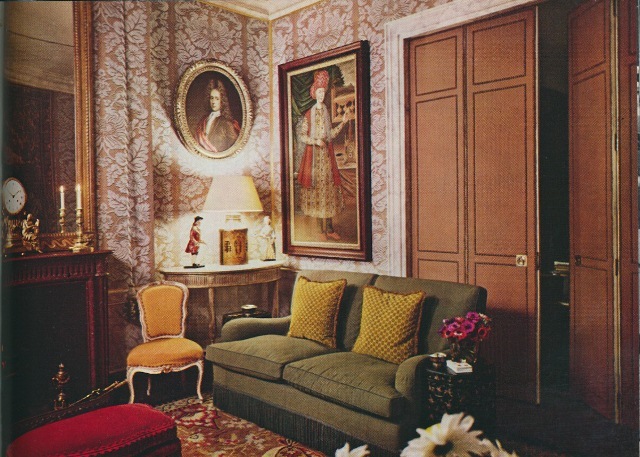 Taken from the book House & Garden Guide to Interior Decoration , the photos are striking in that they capture a home that is quite a contrast to much of the zany, wacky, and colorful interiors that were typical of the era. It's obvious that even as a young man, Parr was confident in his sense of style, not falling for the popular trends of the day. 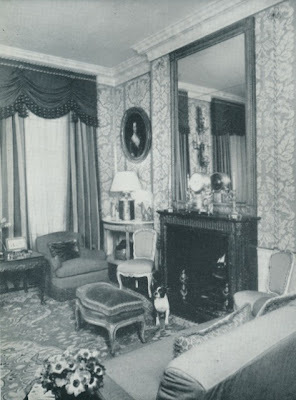 In fact, the book's text says, "Study the pictures for further evidence of Mr. Parr's triumphant defiance of all the decorative dicta that have been uttered by the pundits." So, to Toby Worthington, who has provided me with so much Tom Parr information in the past, and all of the other Tom Parr devotees out there, this post is for you. The three photos above (including the one at top) show Parr's drawing room. 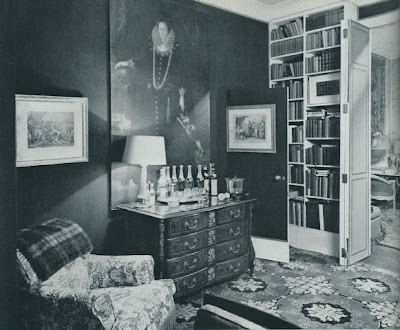 Parr's bedroom. Note the jib door as well as the Charles X period needlework rug. The dining room had red walls, red curtains, and a red tablecloth. I am a fan of the work of the late Mr Parr, especially his mature work with the great attention to detail, the phase that followed this. But it is interesting to see the development process. I have seen some interesting, mod work done by him in the late 1950s or early 1960s. Not great but interesting. Thank you for this post. I am also a fan of the late Mr Parr. One can imagine that he took the colors from the first room (red, green and yellow) from the painting behind the sofa. Jennifer, what a charming surprise was this blog post! Classicist- Yes, it's not as refined as his later work, but still remarkable considering his age. Anon- I'm going to need to search for photos of his mod work. Sounds intriguing. Daniel- My thoughts exactly. 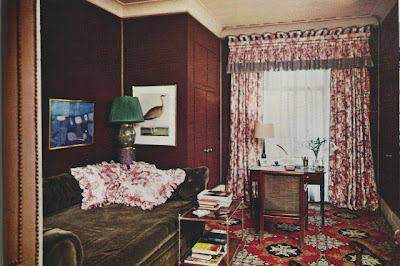 The color scheme of the room is really quite beautiful. Toby, I'm assuming as such. While I'm partial to the tomato red version, I do have to say that the claret version looked awfully cozy. I'm so glad that you like the post! For his 'mod' work look at his time with David Hicks in the mid 50s when they were Hicks and Parr.